Birthday walk through the garden! Yes, it’s true! It’s my birthday and I still feel blessed every year to be here! 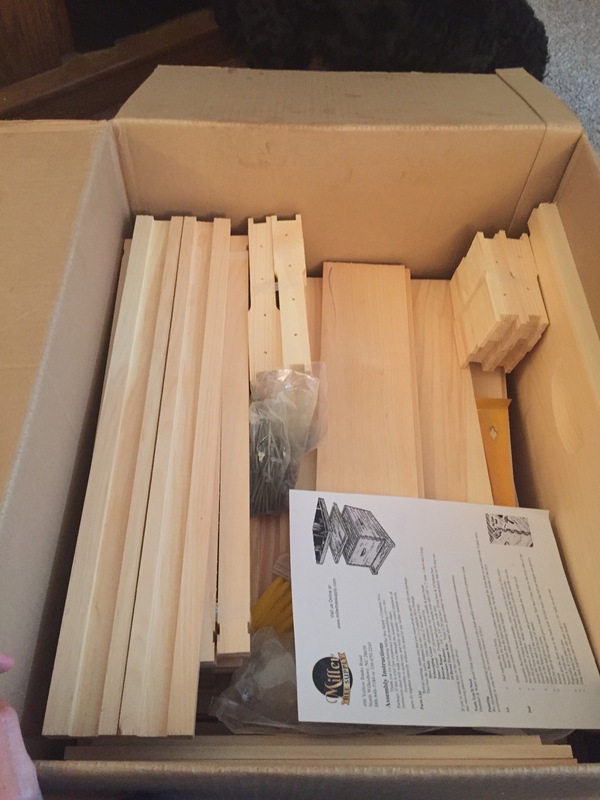 My husband knows that I have been saving up for some beekeeping supplies for next spring! He purchased some supplies for me to get me started! Yay!!! Such a lucky girl!! My new bee keeping supplies! 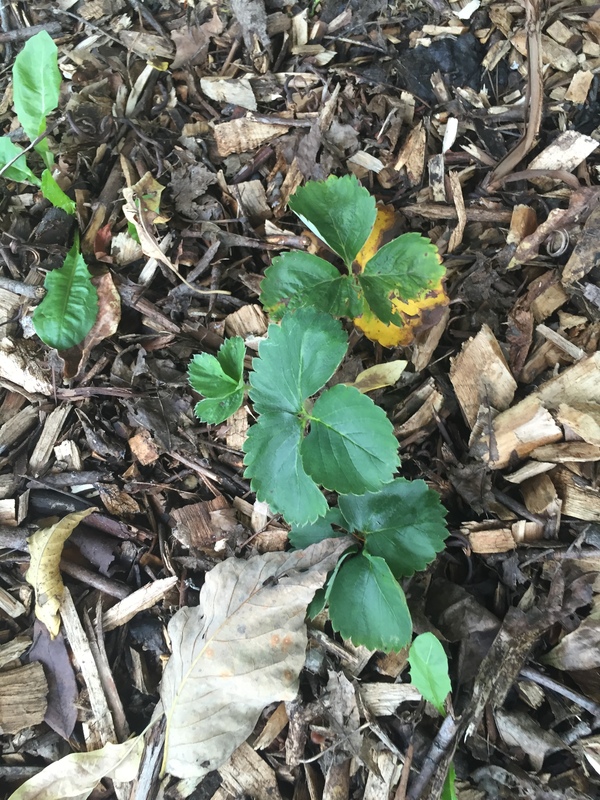 I’m pretty happy that the strawberry plants are enjoying all of this rain and are looking very healthy! Yippee! 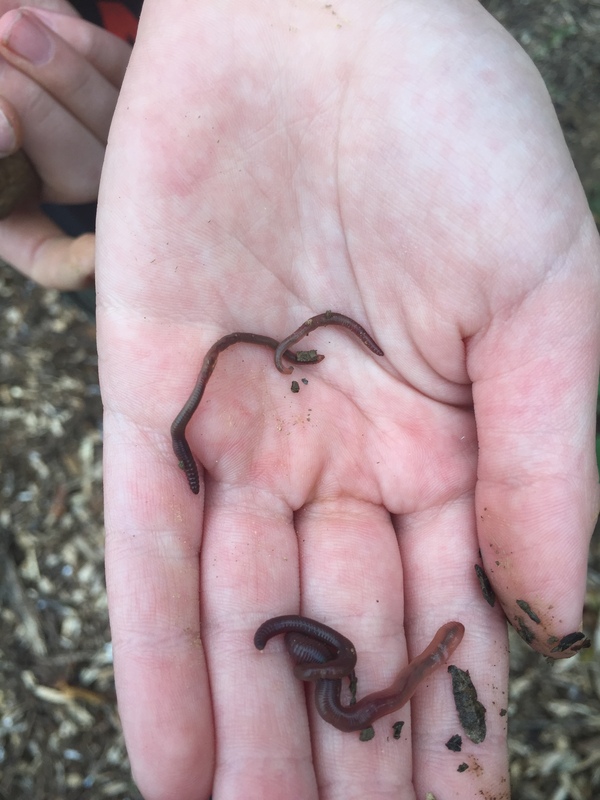 The boy was so happy to find all of these little worms all throughout the garden! He found some nice places for them to take up new residence! Some of the wormies that the boy found! We had a sweet potato sprout on the counter so I just shoved it into the garden this summer. 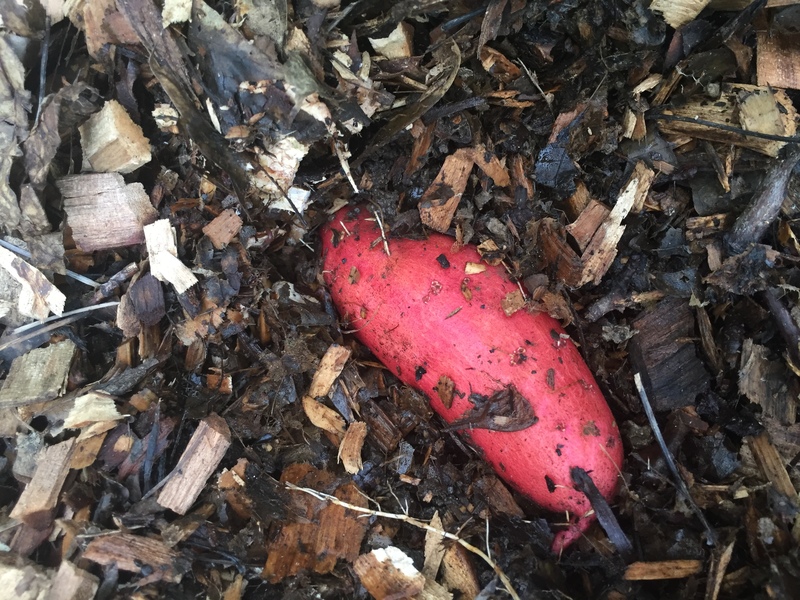 I’m pretty excited to see that there are actually a few sweet potatoes that grew! I will be digging them up next month! 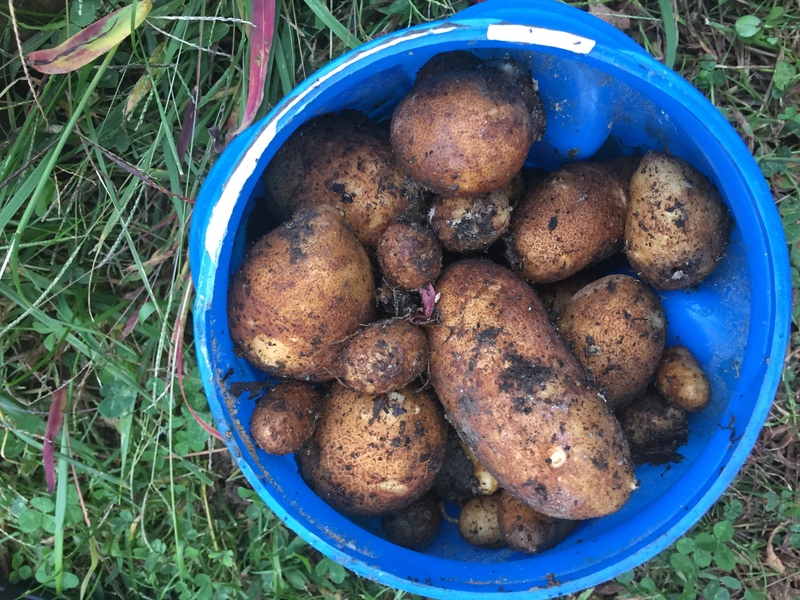 And speaking of potatoes, I had a few regular potatoes that sprouted so I put them in the second bin of our compost bin late in the summer. And guess what I found today? Over 2 pounds of potatoes that most people would’ve thrown away!! 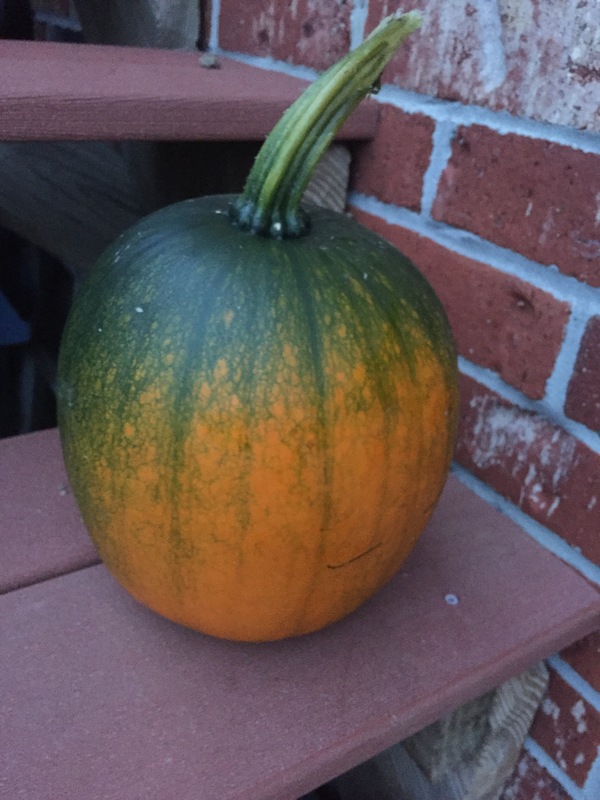 And lastly, I harvested yet another pumpkin! I’m pretty excited to put these up until the later fall for our hens! Pumpkins are a nice treat for hens when everything green is gone! And that makes 11 pumpkins!